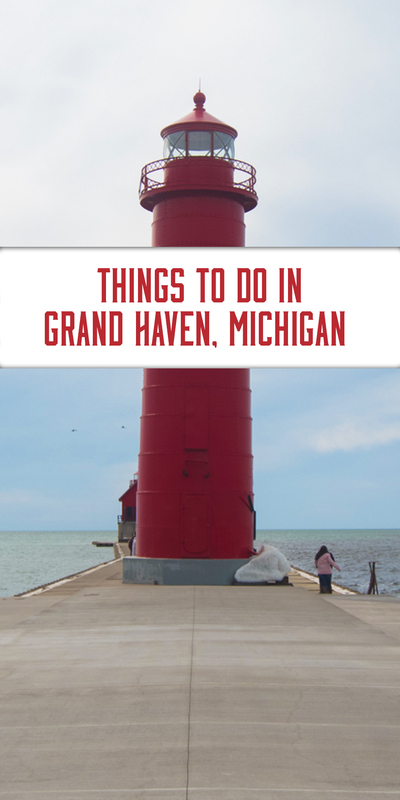 A guide on the best things to do in Grand Haven, Michigan. It is easy to see why Grand Haven, Michigan was named America’s Happiest Seaside Town in 2017. 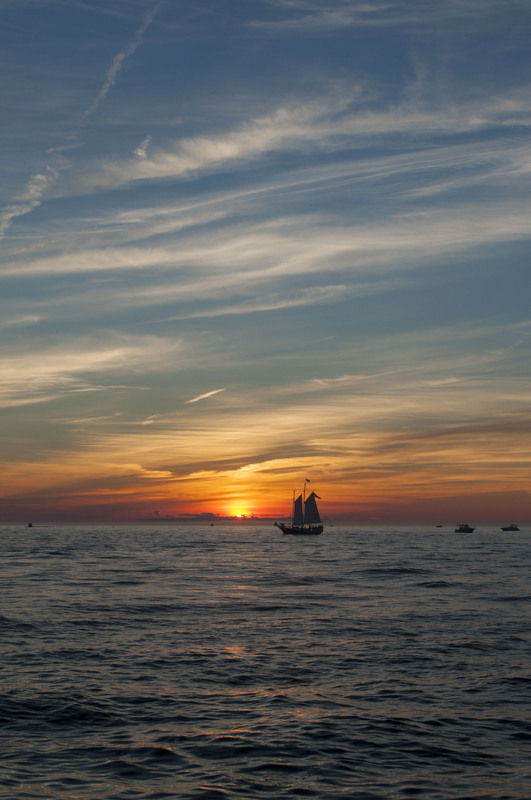 Known as Coast Guard City, U.S.A., Grand Haven is a favorite year-round destination to visit. 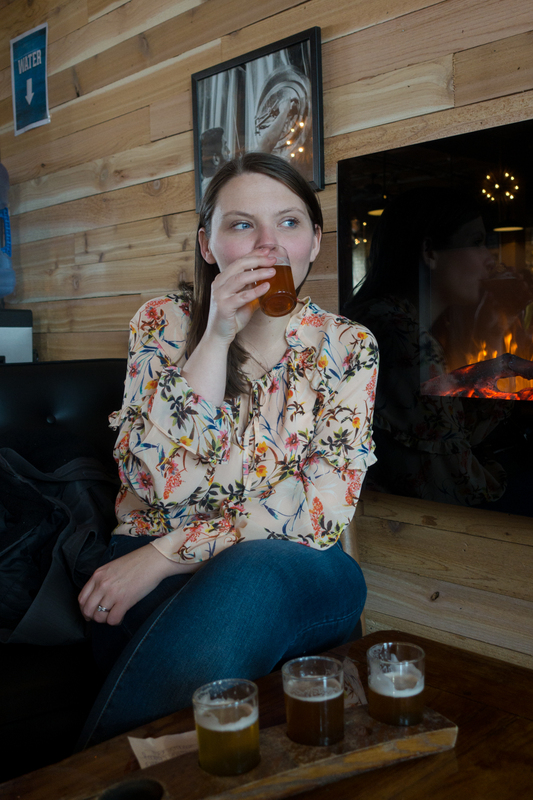 No matter the time of year, you’ll find a wide range of fun activities to do. Since moving to the west side of Michigan, I have been able to take a few day trips to Grand Haven. 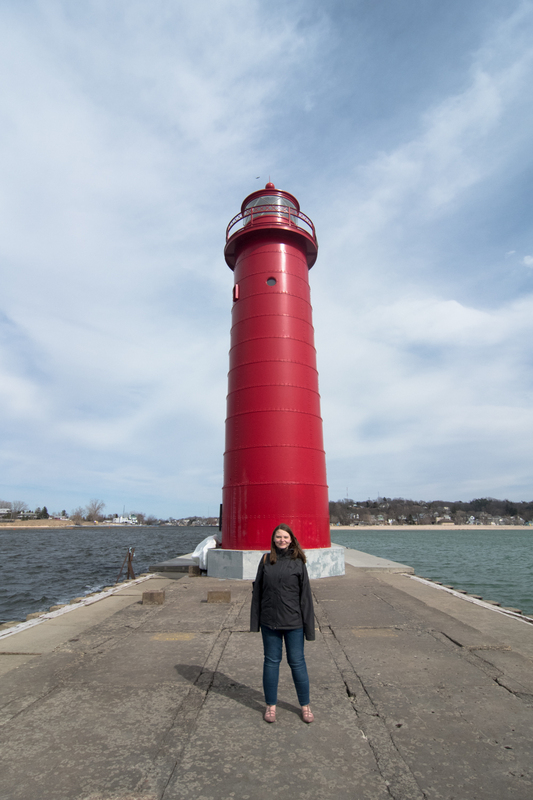 I wanted to share my favorite things to do, see and eat in Grand Haven, Michigan! Soak up the sunshine and enjoy a beach day at the Grand Haven State Park. 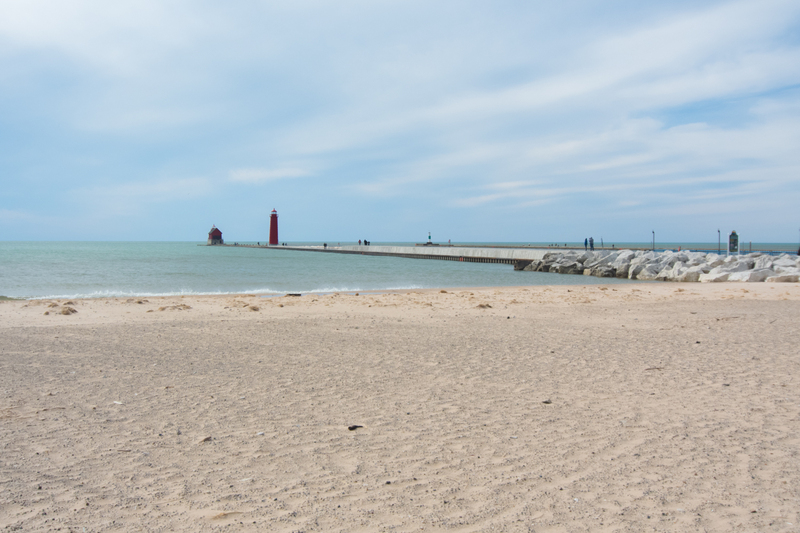 The park offers a sandy beach and views of the iconic pier and lighthouse. During the summer, the parking lot can get very full. I recommend arriving earlier in the day if you are visiting on a summer weekend. For parking, a Michigan Resident Recreation Passport required. If you don’t have a recreation passport, there is a $9 daily parking fee. Stroll along the boardwalk which runs along the harbor and Grand River before ending at the iconic red lighthouse. Along the boardwalk you’ll find shops, restaurants and marina. It’s a great place for a leisurely or brisk walk or sitting on one of the many benches and watch the boats go by. 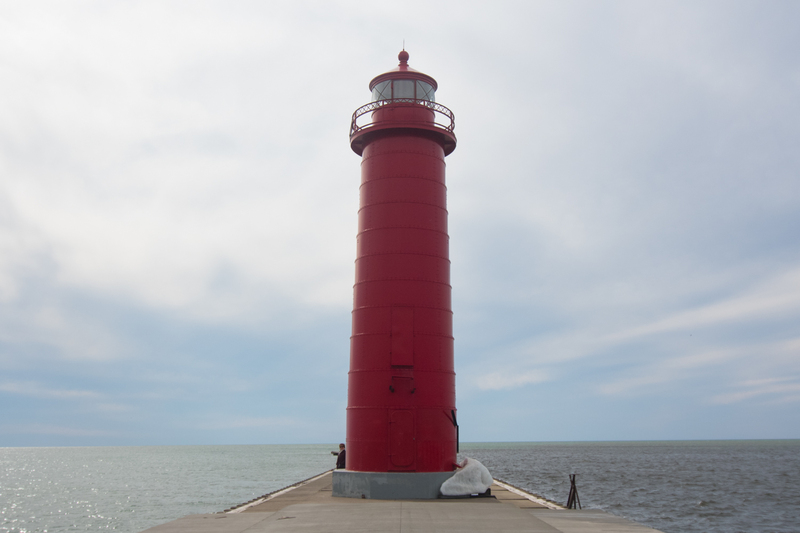 When I picture Grand Haven, the first thing that comes to mind is the iconic red lighthouse. The lighthouse was established in 1839 and has become an iconic Grand Haven landmark. 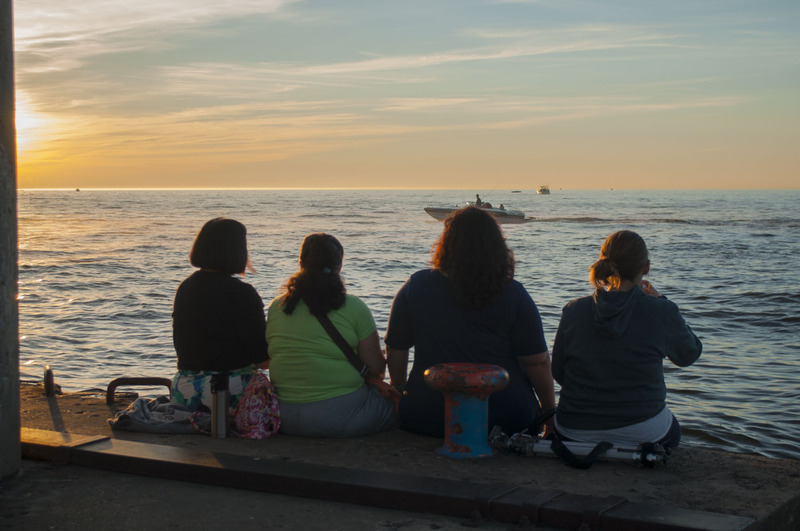 Watching the sunset along the pier is the perfect way to end your day in Grand Haven. Located 5 minutes from Downtown Grand Haven is Rosy Mound Natural Area. 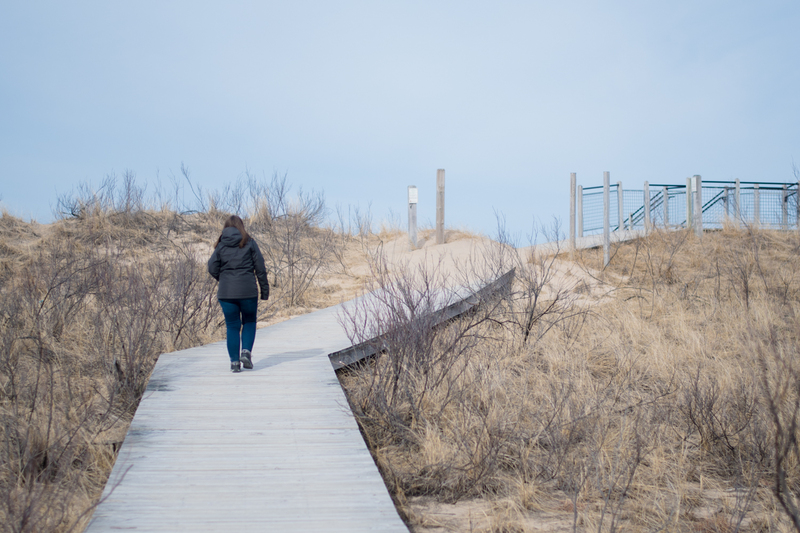 Rosy Mound is a Great Lakes dune system that is definitely worth checking out on your visit to Grand Haven. Along your hike, you’ll find high wooded dunes, foredunes, beach and a dune blowout. The trail is 0.7 miles one way, including 1,000 feet of stairs up and down the dunes. 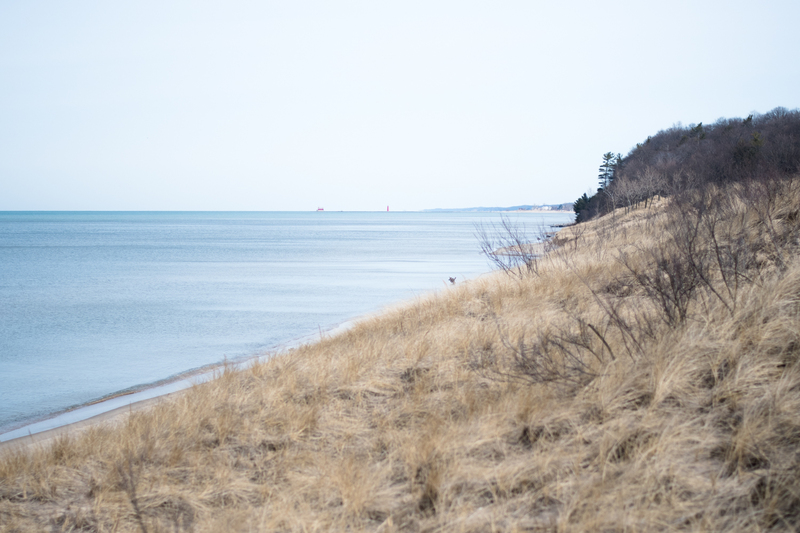 The scenic views of woods, the dune blowout and Lake Michigan are worth climbing the stairs! Parking fees are in effect from Memorial Day weekend through Labor Day. The Michigan Recreation Passport is not valid at County Parks. Rosy Mound Natural Area has a self-service fee station selling $7 daily permits regardless of residency. Also, dog aren’t allowed in the park. After hiking at Rosy Mound, I stopped at Wild Blue for a healthy green juice. 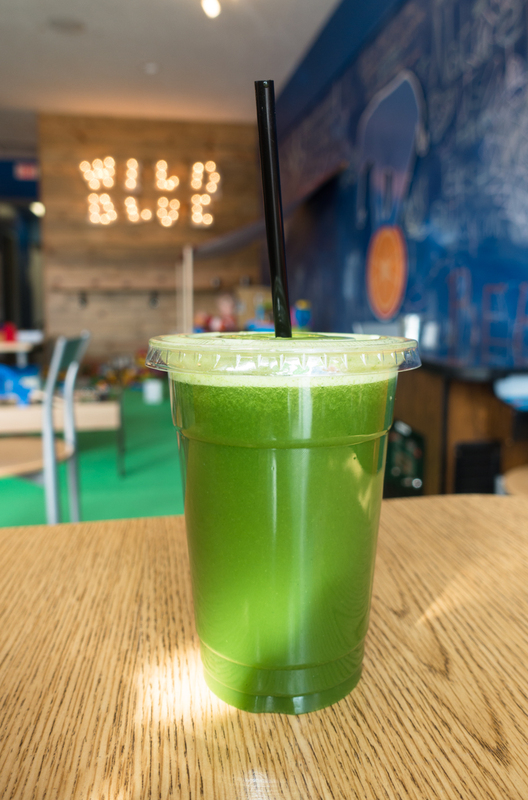 Wild Blue offers organic juices, smoothies and raw treats. I ordered the ginger k’ale green juice which had a nice spicy kick from the ginger. If you are looking for a healthy drink, head over to Wild Blue. 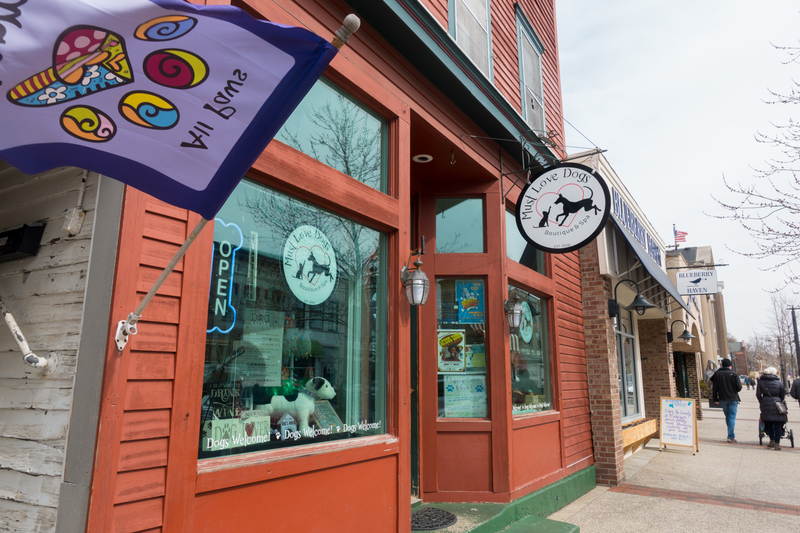 Walk along the charming streets of Downtown Grand Haven. You’ll find unique shops, restaurants and galleries. I love the historic feel of the downtown area too. 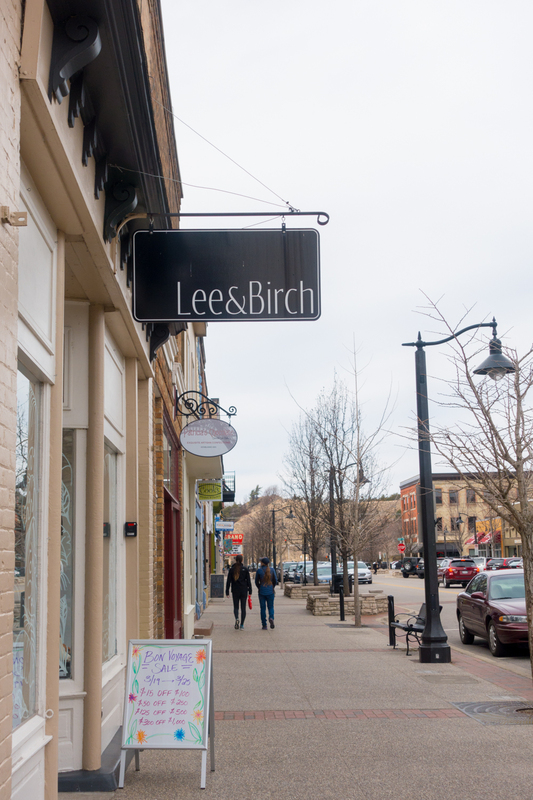 A great place to walk around and do some shopping! 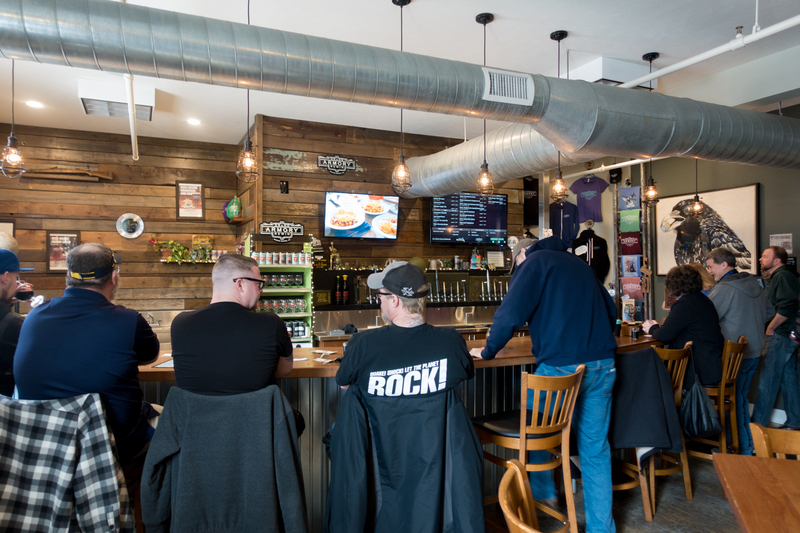 Grab a drink at one of Grand Haven’s local craft breweries. 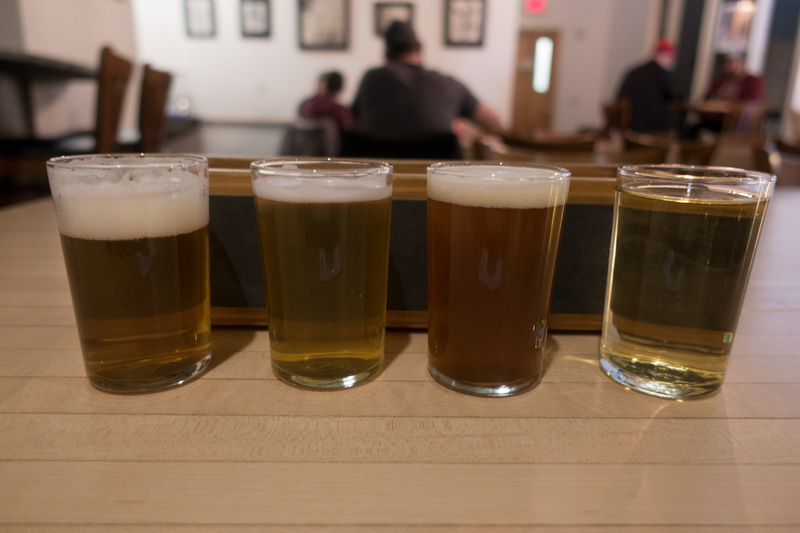 On my last visit to Grand Haven, I checked our Grand Armory Brewing and Odd Side Ales. 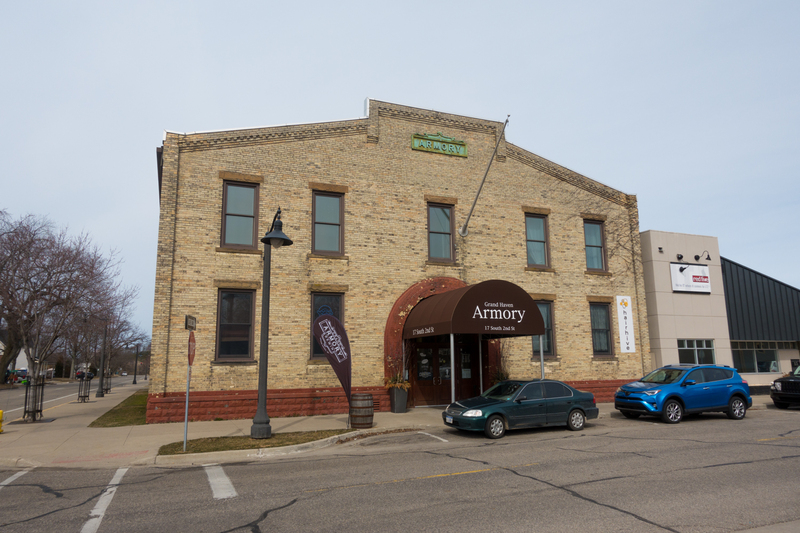 Grand Armory Brewing is located in the historic Armory building in downtown Grand Haven. 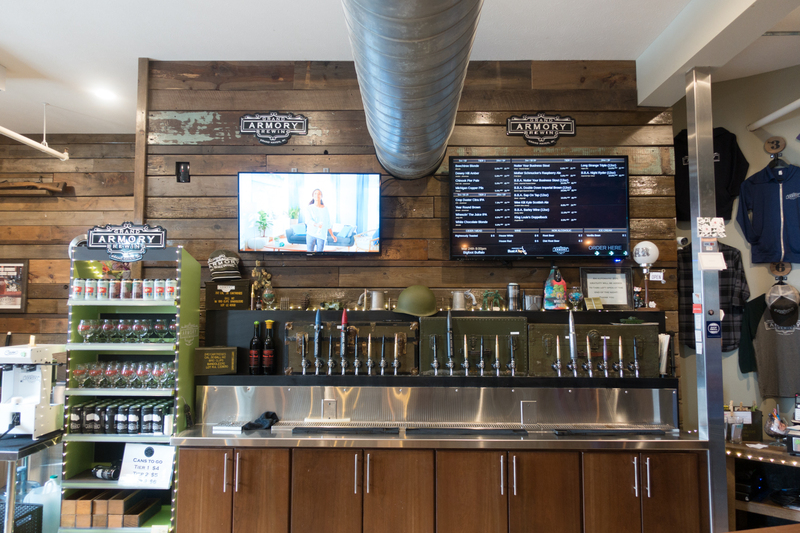 The brewery offers high quality craft beer in a fun atmosphere. 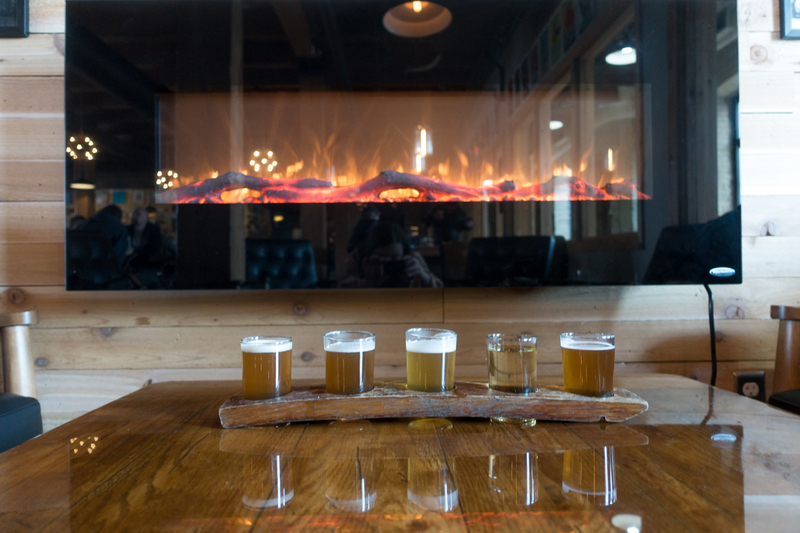 I ordered a flight to sample some of their craft beers and everything was great. 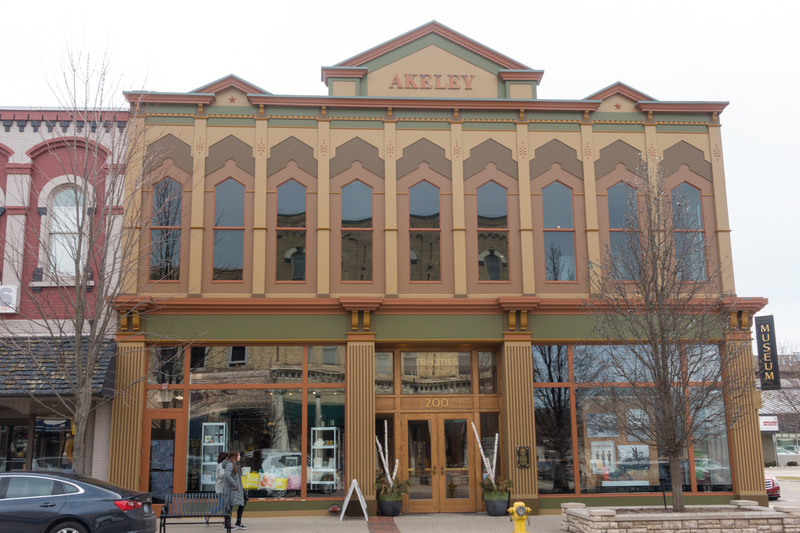 They share the building with Righteous Cuisine, Aldea Coffee and the Armory Art Center. Highly recommend stopping here for a drink if you are a craft beer fan. For dinner, we headed to Righteous Cuisine for some tacos. I ordered the seasonal vegan tacos which were very good. 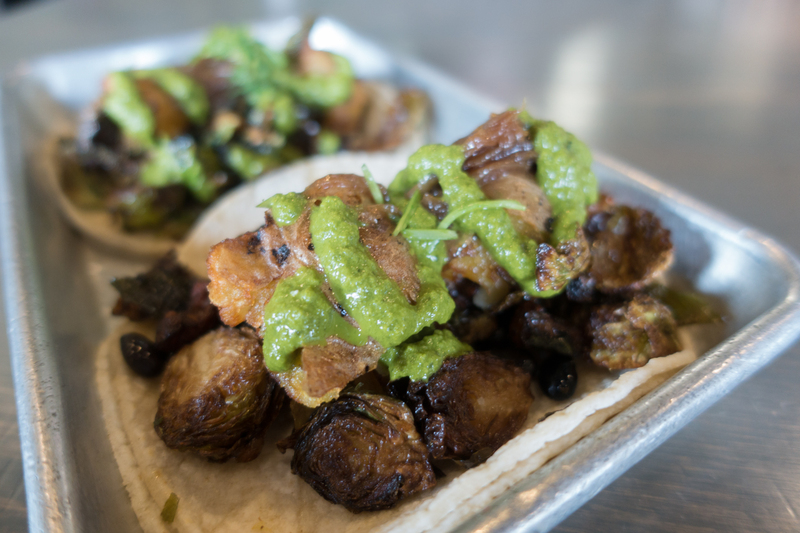 I really loved the bright and citrusy chimichurri that topped with crispy potato and brussel sprout filling. 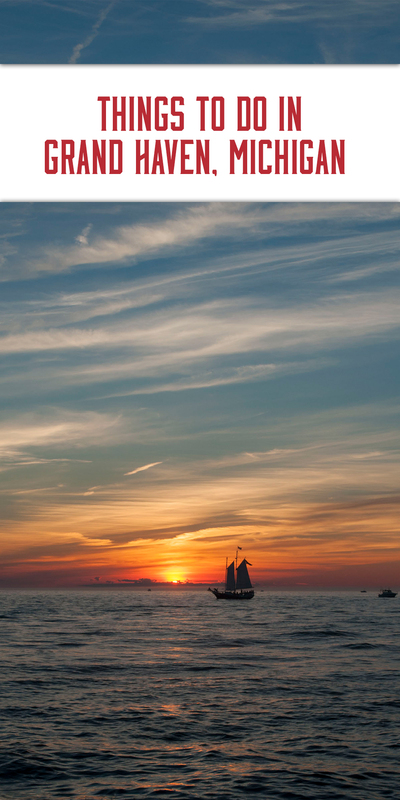 Grand Haven offers something for everyone. 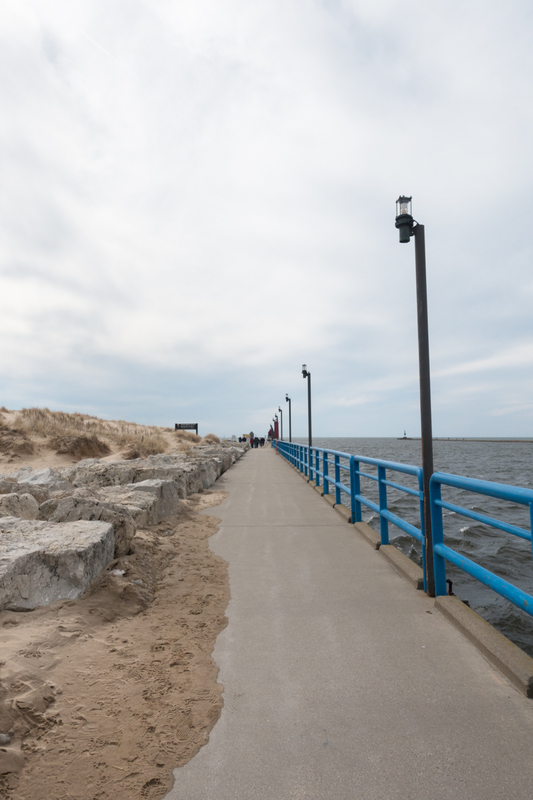 Have you been to Grand Haven before? I’d love you know some of your favorite things to do there for my next day trip! Can you believe that I’m from Ohio and have barely spent any time in Michigan? I’m hoping to change that this summer and do some road tripping throughout the state and along the coast. Grand Haven will definitely be on my list of destinations. I love all things water and lighthouses so how could I miss it? Plus, that downtown looks like just the type of destination I like to explore.